These three snacks are perfect for your child's lunchbox, a light snack on-the-go or even a guiltless midnight snack. And the best part is, they're healthy! 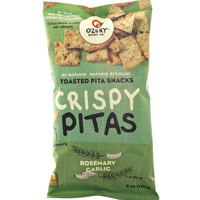 All natural and definitely healthy, these pita crisps are great on their own or for your dipping delight – try hummus, salsa or even peanut butter! Flavours include Cranberry Pumpkin Seed, Rosemary Garlic and Organic Spelt with Flax, and Organic Wheat. $3.39 to $3.89, available at independent grocers across Canada. 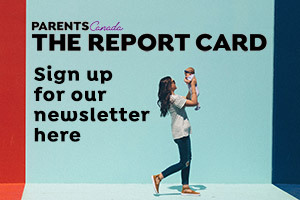 Visit pitabreak.com for a store near you. We love Kashi cereal and bars, now there are more delicious Kashi snacks to add to your lunch bag. 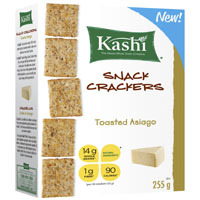 Kashi Snack Crackers offer big flavour, natural ingredients and their own blend of seven whole grains, and sesame seeds. The crackers are trans fat free, low in saturated fat, and are loaded with fibre. $3.49, at grocery and natural food stores across Canada. Dare we say it? Guilt-free chips? 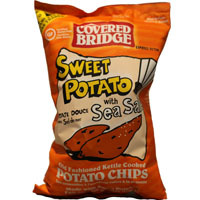 These old-fashioned kettle chips are cooked one batch at a time so every batch tastes great. Certified gluten-free, with no preservatives, trans fats, cholesterol or artificial colours or flavours, these chips are calling our name. $3.49 to $3.99, available in assorted flavours across Canada at select convenience and grocery stores, Winners, Chapters, Indigo, Bulk Barn and Sobeys in Western Canada, Ontario and the Maritimes.